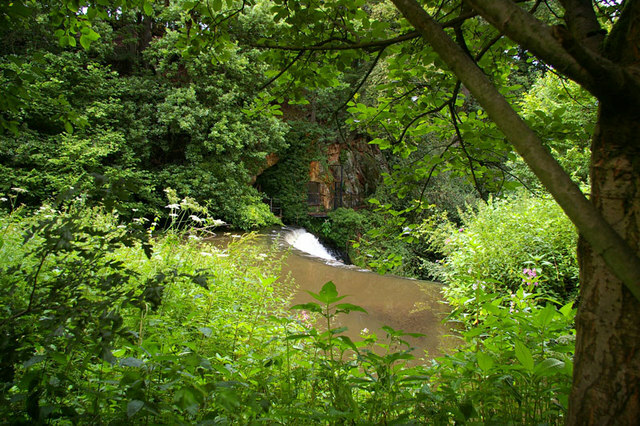 The main weir at Quarry Bank Mill. I have seen a drawing, part of a geology paper, which show a tunnel from the upper water level to the lower level. The fenced off access and closed door in the rock face possibly lead to that tunnel. Perhaps it was used as a spillway in days gone by and is hidden behind the shrubbery to the left.